"THREE BEDROOMS * ONE BATHROOM * LARGE FENCED BACK YARD * NEW ROOF IN 2016 * PELLET STOVE * CENTRAL AIR CONDITIONING * MOVE IN READY!" "CUTE RANCHER ON A CUL-DE-SAC IN SECURITY! Don't miss out on this wonderful home that features brand new carpet, new paint, and move in ready. New roof in 2017, large backyard and storage shed. 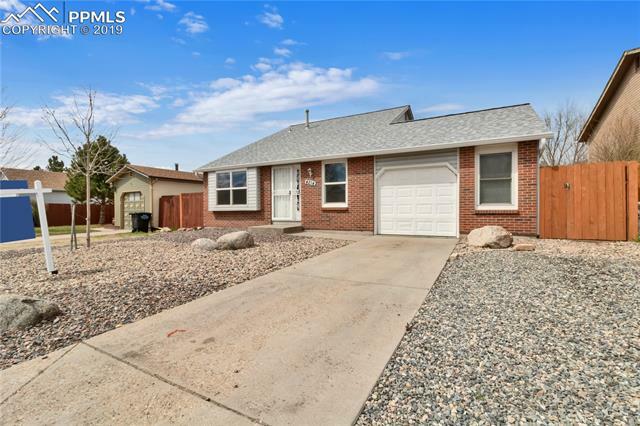 Garage"
"BEAUTIFULLY REMODELED HOME IN VERY CONVENIENT LOCATION NEAR FORT CARSON, I-25 SHOPPING AND SCHOOLS. EVERYTHING IS NEW!!! VERY LARGE LOT WITH BIG BACK YARD." 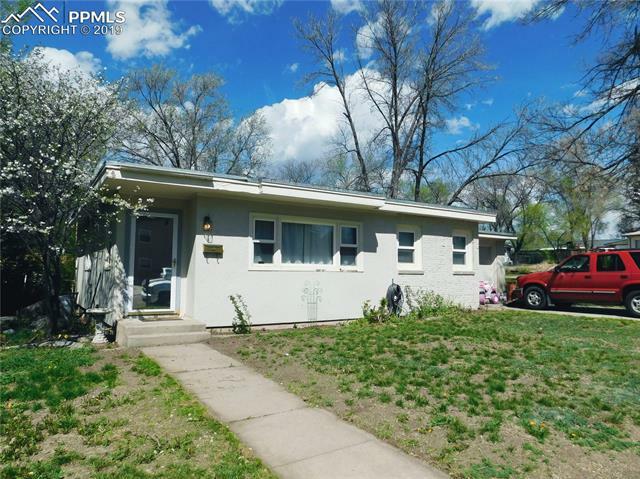 "Investor Special - Flip or Rental Easy rental remodel, great rental area near prospect lake"
"This home is meticulously cared for with great updates and pride of ownership. 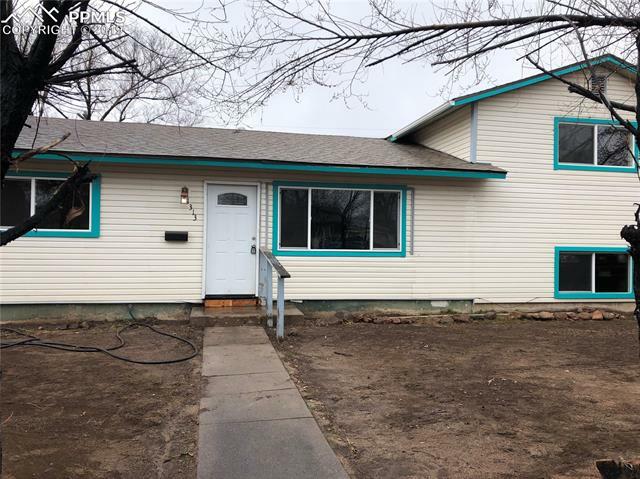 This home features vinyl windows, new siding, newer roof along with updates inside that include stainless steel appliances and tile flooring. Mature trees front and back abound with a fully fenced large back yard. This home is move in ready and wont last long!" "Welcome to this nice 3 level 3 bed, Non Smoking home close to Ft. Carson, walking trails, Fishing ponds, shopping and hospitals. Great neighborhood, quiet with great schools for all ages of children. Big backyard for family gatherings or just relaxing. Fenced in front yard. Home needs a little updating and TLC." "Ready To Move In! 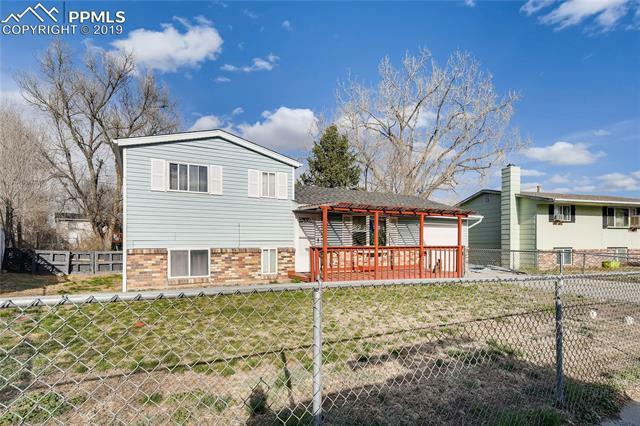 Great Family Home * 5 Bedrooms Just Remodeled * Hardwood Floors & Tile Throughout * Large Yard * Fenced * Full Baths * Close To Shopping * Minutes to I-25 * Ft Carson Minutes Away * Concrete Patio 20x12 2 Outdoor Sheds 10x10 & 8x10"
"Open Ranch Style Single Family Home. New Kitchen, bathroom,roof, and exterior. Washer And Dryer can stay. NO SHOWINGS UNTIL 03/22 See Attached Structural damage report!" 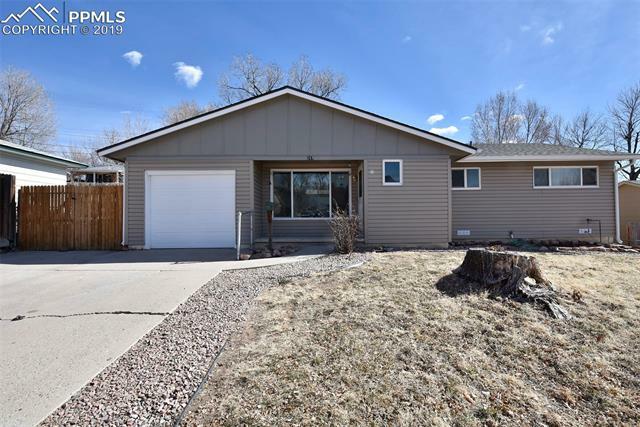 "Beautifully remodeled home with great curb appeal in Fountain boasts new roof, new hot water heater, an electrical upgrade, and stainless steel appliances. Newer AC unit and windows complete the home package while a large deck, new backyard shed, and amazing, over-sized 2-car garage (17'6x 35') completes the exterior. The driveway is big enough for an RV (19'x64'), so bring your toys and your family to this like-new home." "Don't miss this fabulous 3BR/2BA home with 1-car attached garage. This home features 2 BR's upstairs and 1 on the main level. You can't help but notice the beautiful hardwood floors in the living areas. The updated kitchen opens to the dining area and the generous backyard, which features a like new Tuff Shed. The Seller is also offering a credit toward new sod for the back. You will have it in time for your summertime BBQ's. The front offers maintenance free xeriscaping. Set your showing today"
"Cute bungalow style home with built-ins in master bedroom, hardwood throughout the home, and beams on the ceiling that provide that cottage or bungalow type feel. There is a spacious backyard with a shed and lots of room to entertain and let pets and kids run around." "MOVE IN READY. 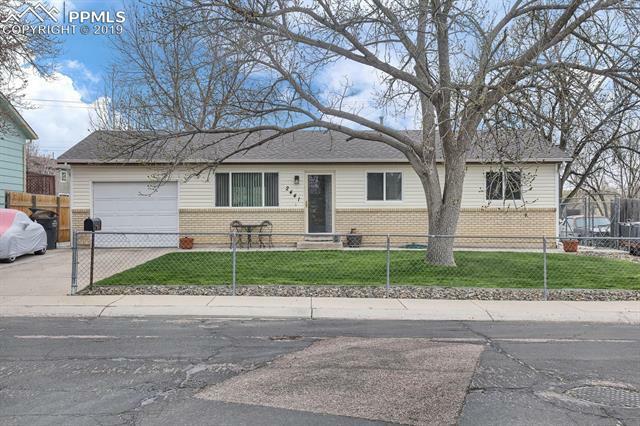 WELL MAINTAINED RANCH HOME CLOSE TO FORT CARSON, SHOPPING CENTERS, AND PIKES PEAK COMMUNITY COLLEGE. WELL MAINTAINED INTERIOR. NEWER STUCCO EXTERIOR, AND PAVED DRIVEWAY. SOLID OAK CABINETS." "Great fix and flip opportunity. 3 bed, 1 office, 1 bath. 1 car attached garage and a fully permitted almost 300 sqf workshop that can be turned into the 2nd car garage. Newer roof. Gorgeous Mountain Views. Look today"
"Great updated home! This ranch home features an open floor plan with large kitchen. Updated carpet and paint throughout. Newer kitchen counters and appliances. The kitchen also has a breakfast bar and good sized pantry. The bathroom has been updated with a newer vanity and tub surround. The large back yard is perfect for entertaining, and includes a shed for added storage!" 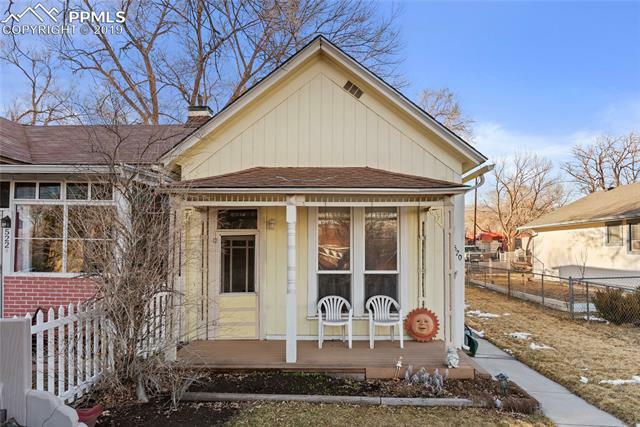 "Cute turn of the century home close to downtown. This home has beautiful hardwood floors, lots of natural light, and a nice large kitchen. All three bedrooms still have the original adjoining doors a well as their own entrances and nice sized closets, and there are extra storage cabinets in the hall outside the bathroom. Interior of the home has been freshly painted and is move-in ready." 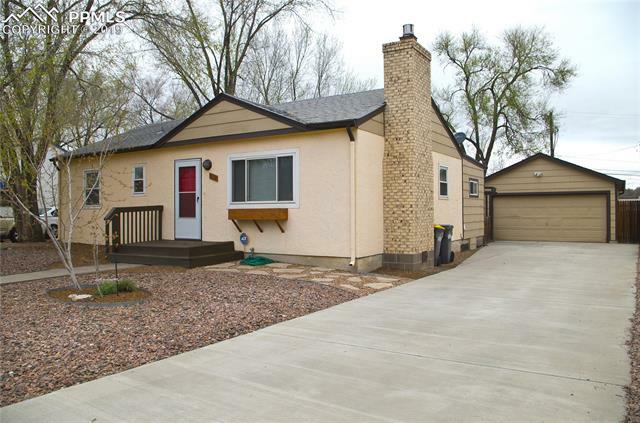 "This remodeled 3 bedroom home has a brand new roof & siding from recent storms. The inside of this rancher comes with brand new appliances and carpet throughout the entire home. The garage leads into a connected kitchen and dining room that opens to a spacious and cozy living room with a huge open window inviting a ton of light into the home. 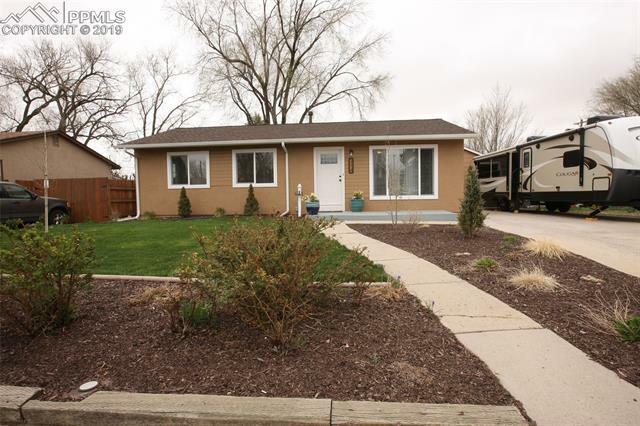 The home is located close to Fort Carson and tons of shopping. Must See!" "Great investment opportunity. R2 zoning. All the demo has been done and its now ready for you to put it back together. Seller already has a bid for foundation repair and it is attached to this listing. Lots of different options: 1- Remodel. 2- Remodel, build a 3 car garage. 3- Remodel, built a 3 car garage with a mother-in-law unit on top. 4- scrape and build a duplex. Seller is familiar with all these options and will gladly meet the buyer." 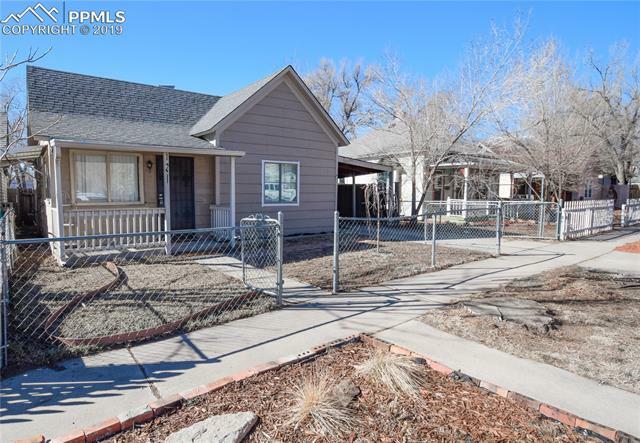 "Welcome to the adorable updated rancher in the heart of Security/Widefield. Many upgrades in this 4 bdrm 1 bath home. The exterior has been freshly painted, NEW roof in 2018! Open the front door to a spacious living area that flows seamlessly into the eat-in style kitchen with new stainless steel gas stove/oven and dishwasher, tons of cabinets for storage. All NEW interior paint, restored original wood floors, New carpet, New flooring in kitchen and bath. 4th bedroom can be used as additional be"
"Beautifully maintained and fully landscaped Rancher in Stratton Meadows. Wood flooring throughout. Central A/C, cozy living room fireplace, remodeled bathroom, large laundry/hobby room with counter and shelving, covered patio with a large backyard and a 2-car garage with workshop." "Large corner lot with lots of potential!!! 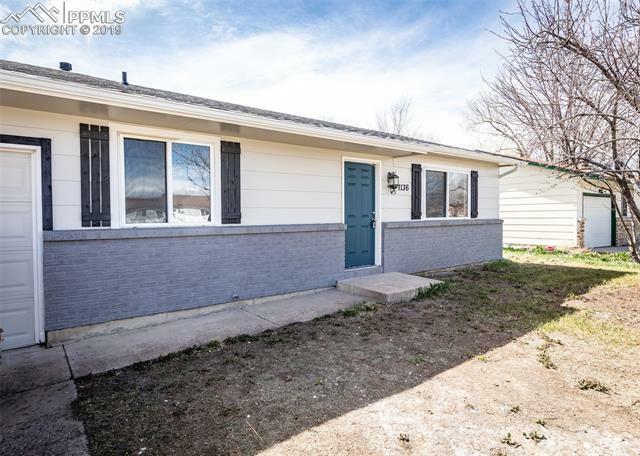 Great starter home, this gorgeous remodel has a brand new roof, new sewer line, new laminate flooring in the living room kitchen and laundry room, new paint, new tile flooring in the bathroom and new tile bathtub surround. New carpet in all bedrroms, new granite counter tops in kitchen, new kitchen sink and much more. The corner lot is ideal for RV parking a must see!" "Enjoy this 3 bedroom, one bathroom house. 24 x 12 ft Covered Porch, really great for entertaining. Air conditioning, 8x12ft Storage shed. 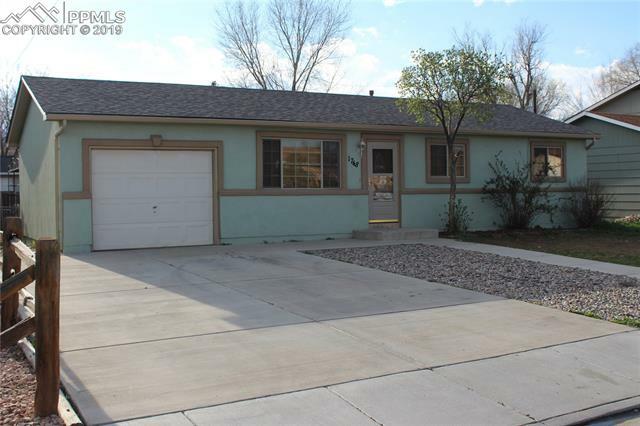 Close to Ft Carson and shopping areas!" "Nice turn of the century home with 2 bedrooms one being a master bedroom with 3/4 attached bath. Trex deck in front and good size patio on the side where you can enjoy the mountain views from there or the back yard. Great starter home or a good rental house. Tenant would be glad to keep renting and not have to move." 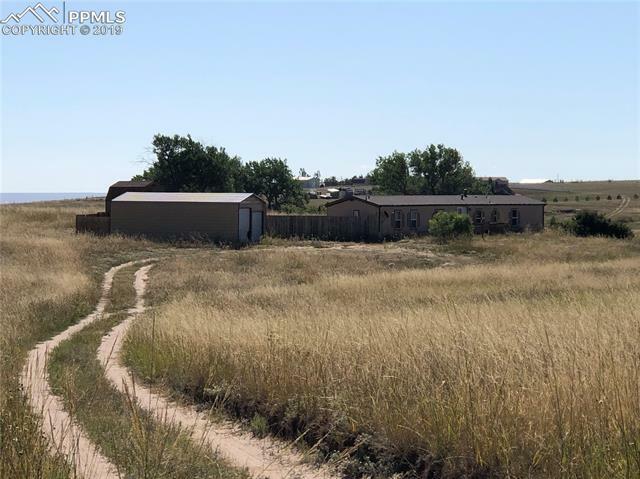 "Horse Acreage Close to Colorado Springs ~ 7.9 Acres ~ Wonderful Views, Rolling Hills, Room To Move and Breathe"